The TRX Suspension Trainer is a highly versatile performance training tool that leverages gravity and your own bodyweight to complete hundreds of different exercises. Developed by a Navy SEAL, TRX suspension training exercise develops strength, balance, flexibility and core stability simultaneously. 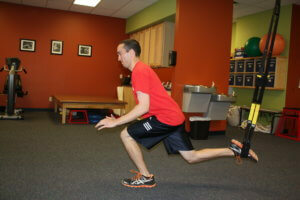 At Armor Physical Therapy, we utilize the TRX for both patient care and performance training. Suspension training is distinguished from traditional exercises in that either the user’s hands or feet are supported by a single anchor point while the opposite end of the body is in contact with the ground. Using the TRX, the desired percentage of body weight is loaded onto the targeted body zone and animated as an exercise movement. 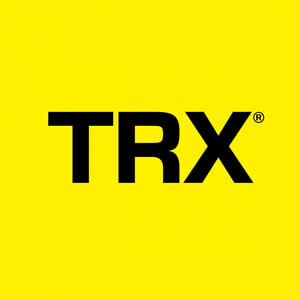 The TRX’s single-point attachment provides the ideal mix of support and mobility to train strength, endurance, coordination, flexibility, power and core stability all at once across a wide range of resistance. Suspension training is safe and effective for people of all fitness levels because you can instantly adapt resistance by adjusting body position. Suspension training techniques are designed to intentionally displace your center of gravity, which activates the core musculature during every exercise. TRX exercises develop core strength using functional movements and dynamic positions, rather than only lying supine on the floor like most traditional abdominal exercises. Suspension training accommodates limitless variation in movement angle and planes of motion for virtually all exercises. 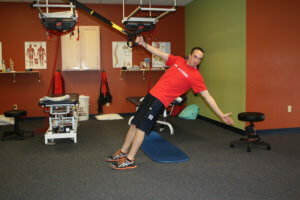 The TRX enables movements to be programmed along any plane or all planes of movement at once. For more information, contact us at Battle Creek, Kalamazoo, Mattawan, Plainwell & Portage, MI centers.